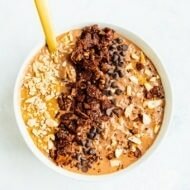 Want to eat healthier without cutting out your favorite foods? Here’s my best tip — eat more vegetables! They’re loaded with water, fiber and nutrients that will nourish your body and make you feel amazing! I started my health journey in college and the one constant that always helps me feel my best is incorporating a lot of veggies into my day-to-day diet. If you would have asked me 10+ years ago if I thought vegetables were exciting foods it would be a resounding NO, but today they are truly my favorite foods! There are so many fun ways to eat more vegetables so I wanted to dedicate an entire post to sharing them with you. 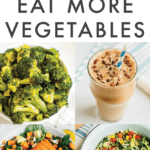 Some of these ideas might be old news, but hopefully you’ll pick up a few creative ways to add vegetables to your diet and some new recipes to try! 1. Have veggies chopped and ready to eat, front and center in your fridge. It’s amazing how quickly (and eagerly!) you’ll reach for veggies when they’re ready to go. Put them in a little baggie for easy snacking. 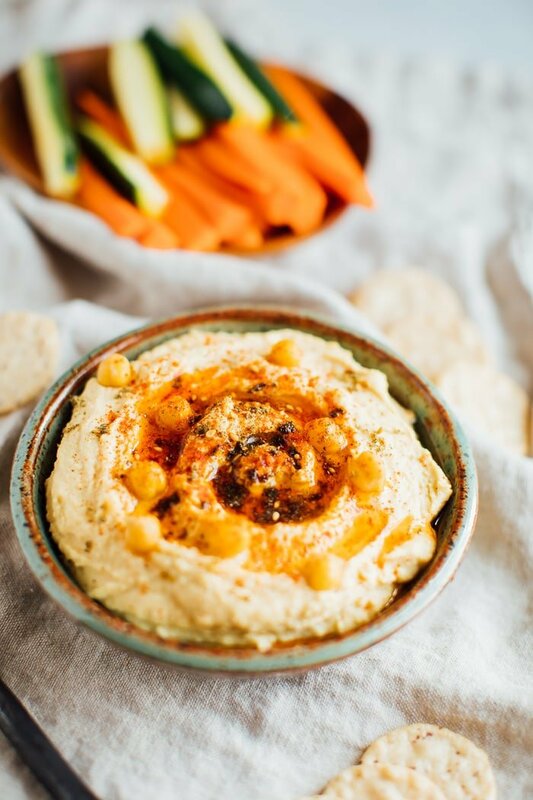 Pro tip: buy or make hummus, guacamole and your favorite dressings for dipping. Veggies are exponentially more delicious with a good dip. 😉 I’m personally on a jicama kick right now. Chop up your favorite veggie and snack away! 2. Spiralized veggies! I have the Inspiralizer and it’s seriously the best for making vegetable noodles! 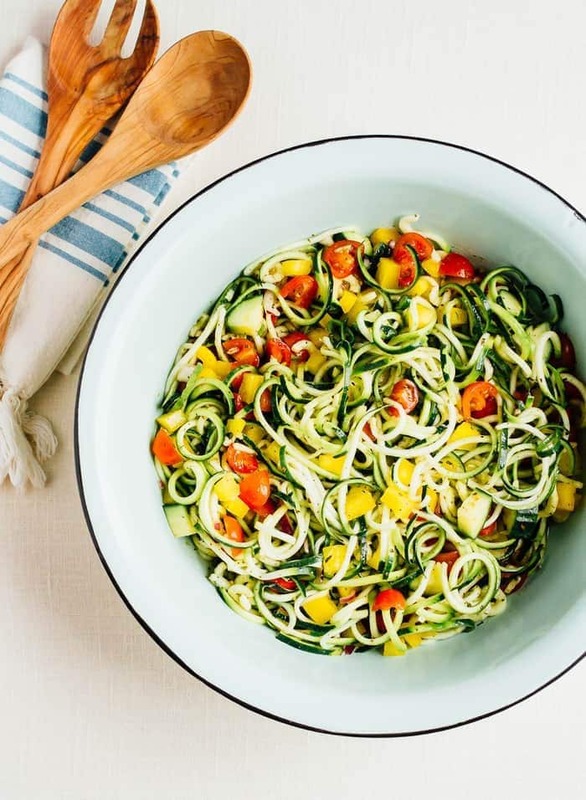 You can spiralize so many veggies – I usually reach for zucchini, sweet potato, and bell peppers. Think of any veggie . . . and there’s a high chance you can spiralize it. I love to swap out traditional noodles for veggie “noodles” but you can also get super creative with them like I did in these sweet potato and parsnip spiralized latkes or this spiralized carrot and cucumber kale salad. 3. Salads. You knew this was coming didn’t you? Yup… I love my salads, even for breakfast. 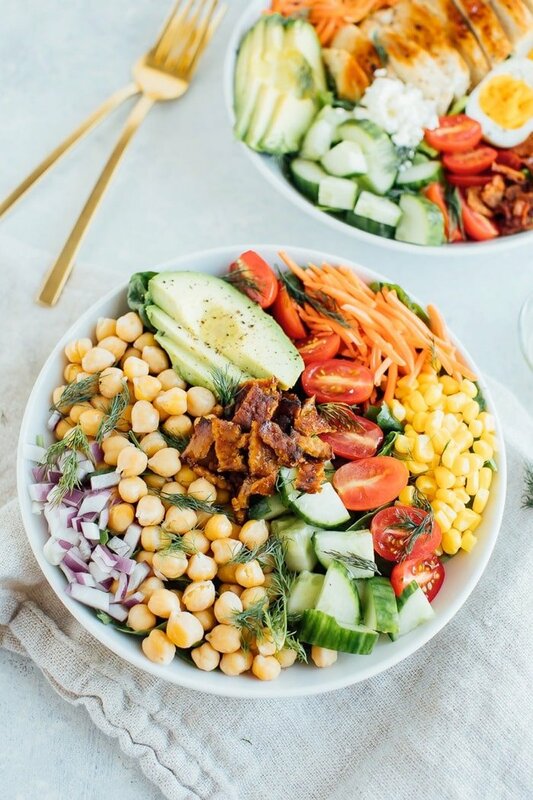 Salad doesn’t have to be boring and bland! Lucky for you, I’ve got countless salad recipes on my site to keep you inspired day after day. I’ve been hooked on this superfood salmon salad lately. 4. Riced veggies. Similar to spiralized veggies, you can “rice” a ton of vegetables. I’ve started to find rice veggies at more and more grocery stores in the refrigerated or frozen vegetable section, but you can also easily make your own in the food processor. 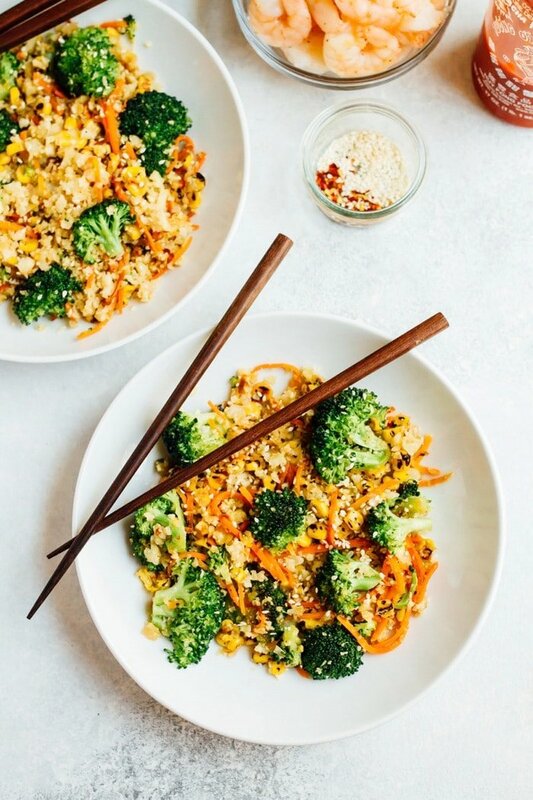 Chop cauliflower, broccoli or sweet potato into tiny pieces and swap in for rice in practically any recipe. I find myself making cauliflower fried rice often! 5. Graters aren’t just for cheese anymore! Get out your grater and grate up some veggies! Grate broccoli stems for broccoli slaw, grate carrots for a delicious carrot slaw or salad topping – almost any cruciferous veggie will work! 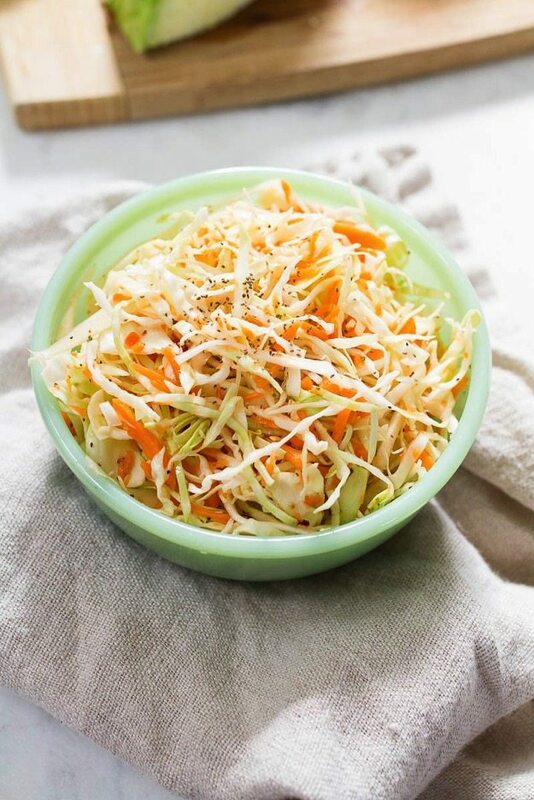 This apple cider vinegar coleslaw is a great place to start (and perfect to take to a cookout!). 6. Soups. Come fall and winter, I’m a total soup gal. I love how easy it is to pack a ton of vegetables into a soup and I love making a family-sized soup so I can have easy meals for the whole week (or stick leftovers in the freezer for another day when I have less time to cook!). 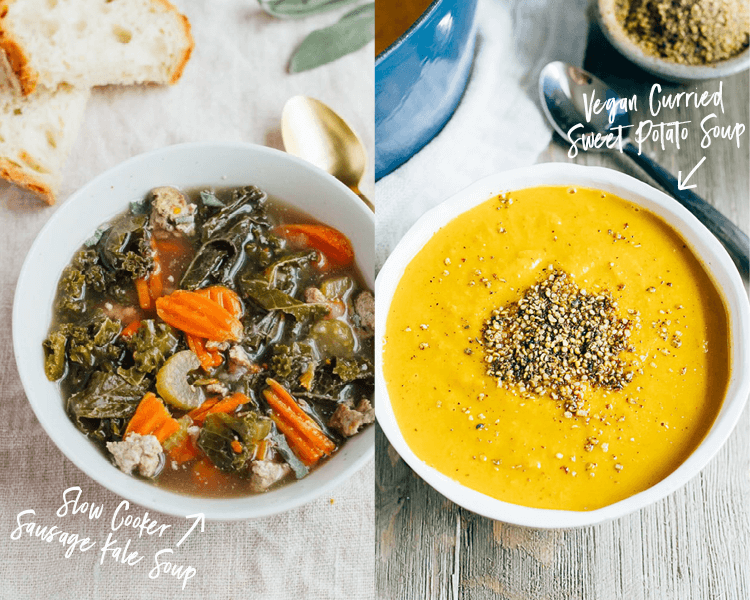 Try my instant pot butternut squash chili, this slow cooker sausage kale soup or my vegan curried sweet potato soup! 7. Smoothies. Does anyone else’s love of smoothies come and go in phases? 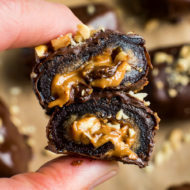 I feel like I make them every day for a month straight and then don’t crave one for months! I probably don’t have to tell you that smoothies are a great way to pack a ton of nutrients and vegetables into a meal or a snack. Feel free to keep it as simple or get as creative as you want! 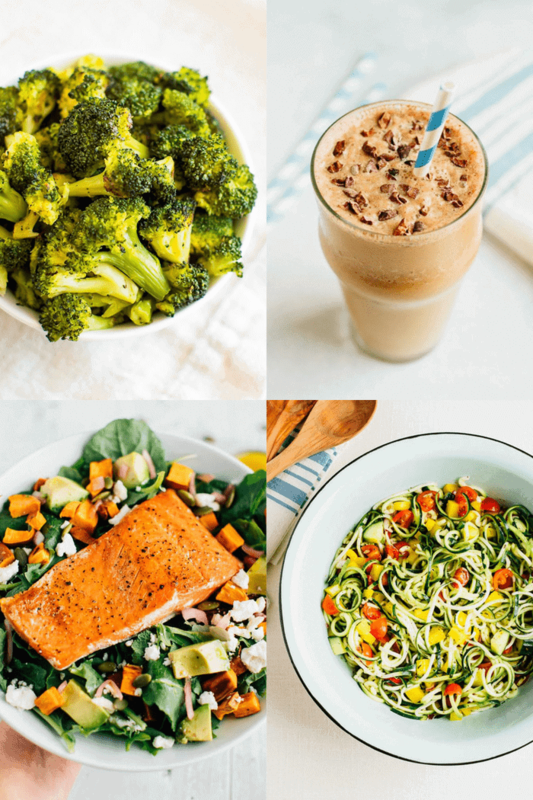 You can make green smoothies with your favorite leafy greens, smoothies with sweet potatoes or cauliflower rice, zucchini smoothies… so many options. 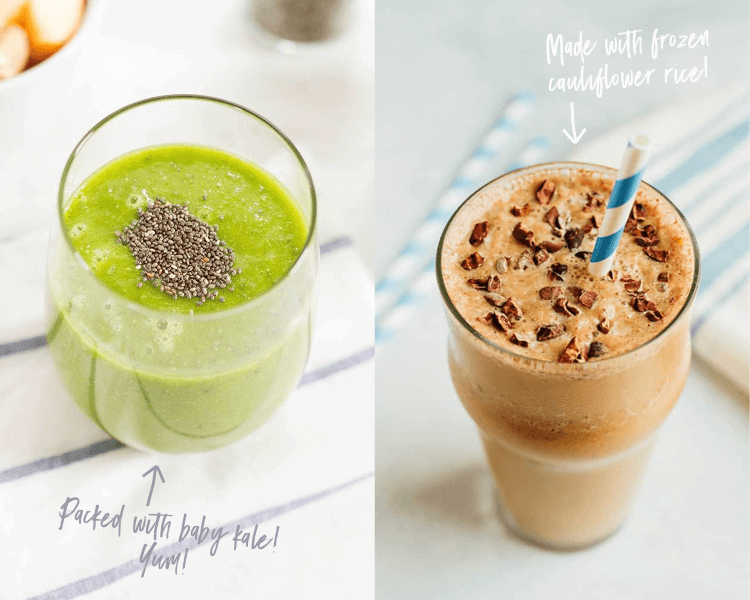 Check out my smoothie recipes to get inspired. 8. Frozen vegetables in steamer bags. I love keeping them on hand for when I’m in a pinch. Pro tip: you don’t have to microwave them – just pop them out of the bag and steam them right on the stovetop! 9. Frozen veggies. There’s no shame in frozen vegetables! I love keeping them on hand for when I run out of fresh veggies or am in a pinch for time. 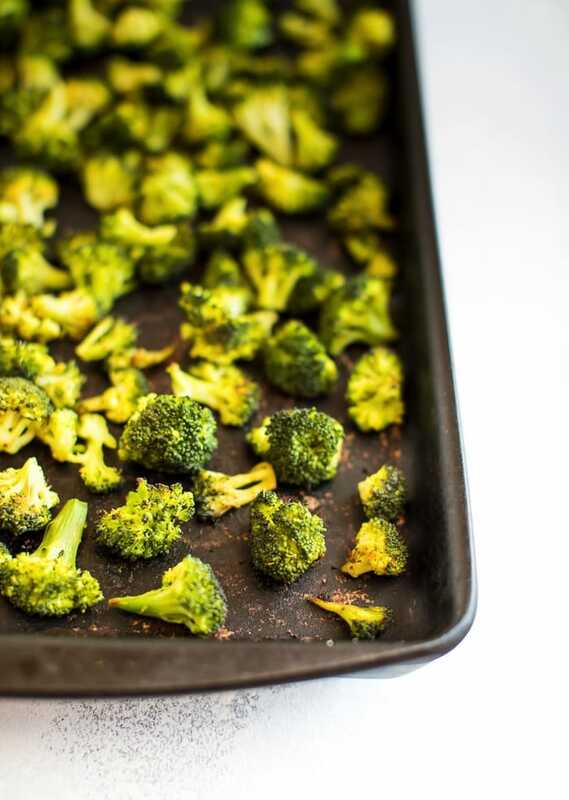 Pro tip: you can roast frozen veggies in the oven! 10. 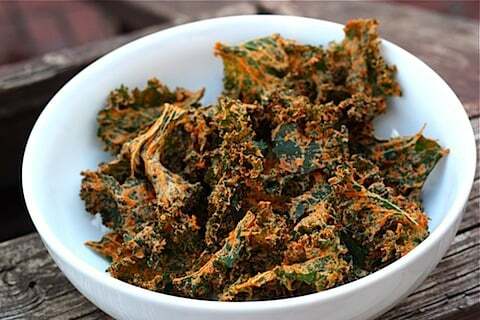 Kale chips. Even if you’re a kale hater, try kale chips. There are so many ways to season kale chips, I’m willing to bet you can find a recipe that you like! I’m obsessed with these spicy and cheesy kale chips! 11. Collard wraps and lettuce wraps. Instead of tortillas, try using collard greens or lettuce as a wrap! Need recipe ideas? 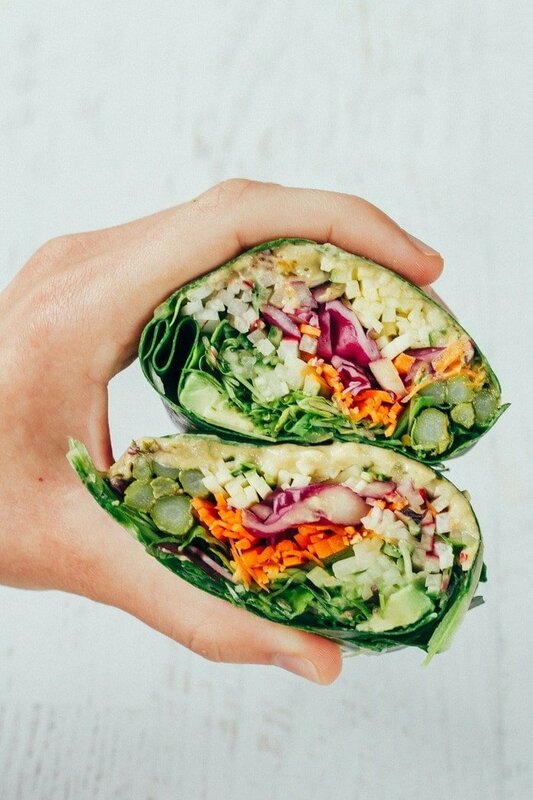 Try these hummus collard wraps or these almond butter chicken salad lettuce wraps. 12. Baked veggie fries. Yup, fries count as part of your vegetable intake. Best news ever, huh? 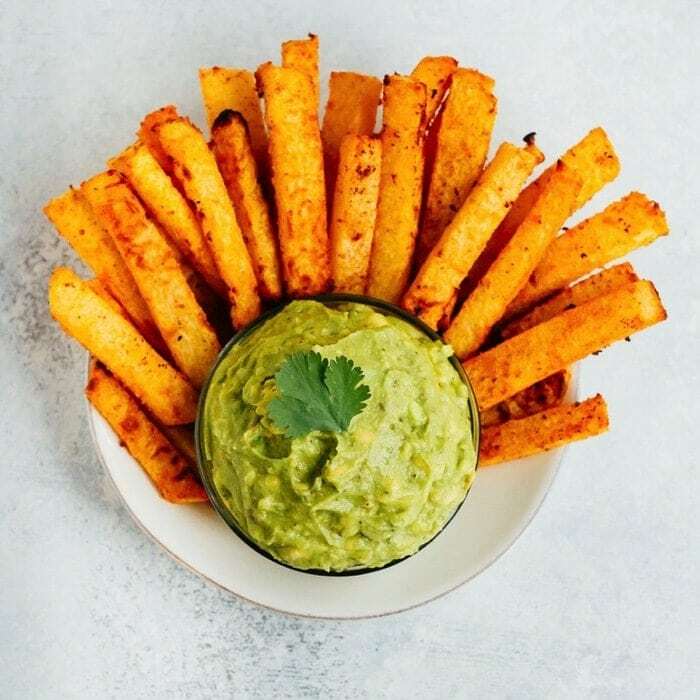 My favorites = sweet potato fries, butternut squash fries and jicama fries. I usually just roast them in the oven, but lately I’ve been thinking about buying an air fryer so I can get them really crispy. Do you have one? Tell me all about it in the comments. 13. Chips. Gosh, I am a chip lover. Lucky for me, I can enjoy as many chips as I want when I make them out of veggies! Similar to fries, you can make a ton of different veggies into chips, just slice thinly and dehydrate or roast in your oven! 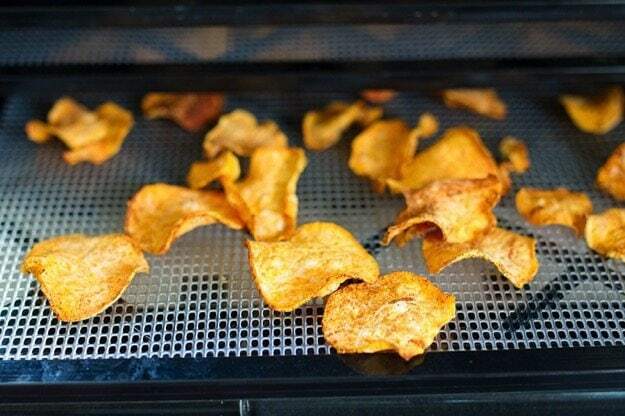 I love using regular potatoes or sweet potatoes to make veggie chips. The perfect snack! 14. I saved the best for last in my opinion: veggies in desserts. You heard that right: vegetables can add an amazing consistency and flavor to many desserts! 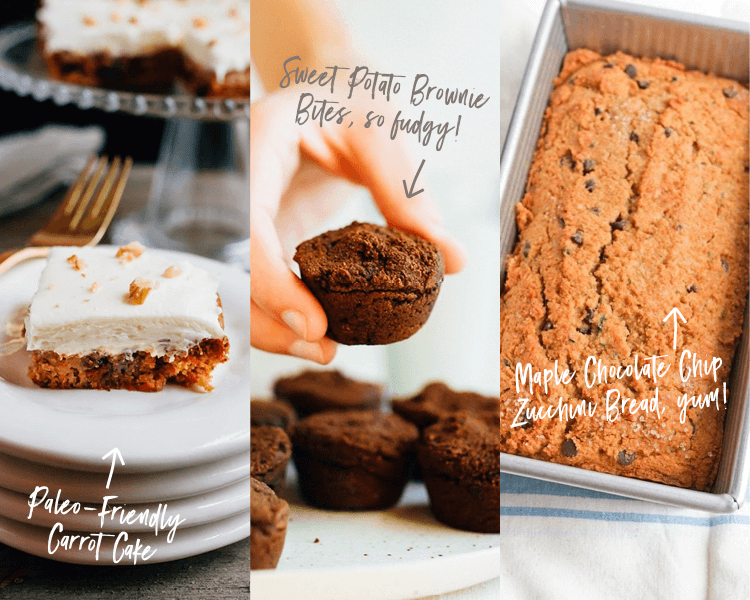 I have several options on my blog, like these sweet potato brownie bites, zucchini bread, avocado ice cream, avocado truffles and carrot cake, but also have avocado brownies on my list of things to try. Mmm! Are you feeling inspired? What are you going to do this week to incorporate more veggies into your day-to-day diet?! Thanks for the adding some amazing ways to eat more vegetables. I really love collard wraps and lettuce wraps idea. We can eat more vegetables with soup also. You didn’t mention in your list. You know eating a variety of vegetables is the most important. We can eat more vegetables with collard wraps and soup. Great ideas! There are so many of these I use on a regular basis (mainly riced veggies, zoodles or other veggie noodles, roasting frozen veggies, plus others!). I love how versatile veggies are and when certain ones are in-season, such as eggplant, they taste even better from a local farm! These are some nice ideas for quick and healthy – except those potato chips 🙂 – vegetable meals. I usually like to make salads because they are super easy to prepare and you can put anything you want in a salad dish. Quinoa salad is one of my latest favorites. Haven’t tried collard wraps yet, but they look much healthier and lighter than flour tortillas. Could also be done with cabbage leaves. Time to get a little creative in the kitchen! I love the riced veggies idea! It’s the first time I hear about this and I think it’s great. 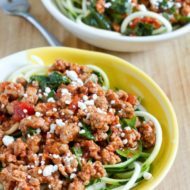 We do spiralized veggies a lot and this is a great swap for some variety.